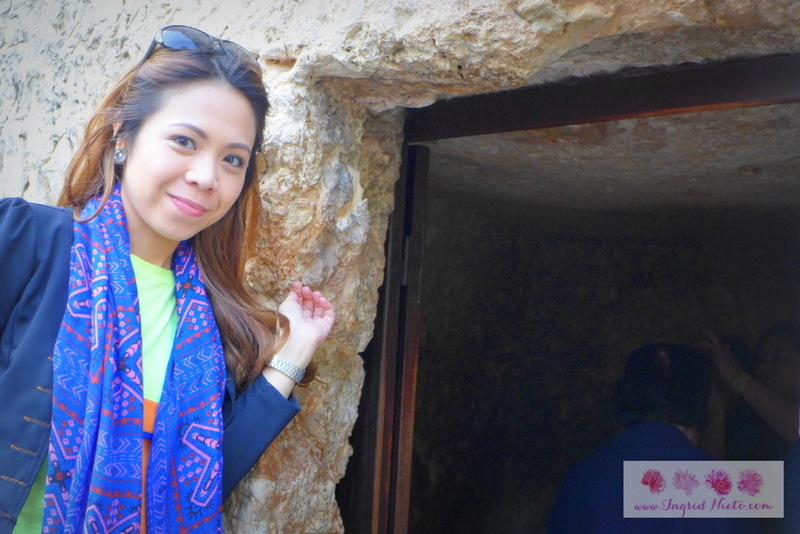 If you haven’t read my previous post, there are two sites in Israel which are believed to have been the tomb of Jesus Christ–The Holy Sepulchre and The Garden Tomb, which is featured in this post. 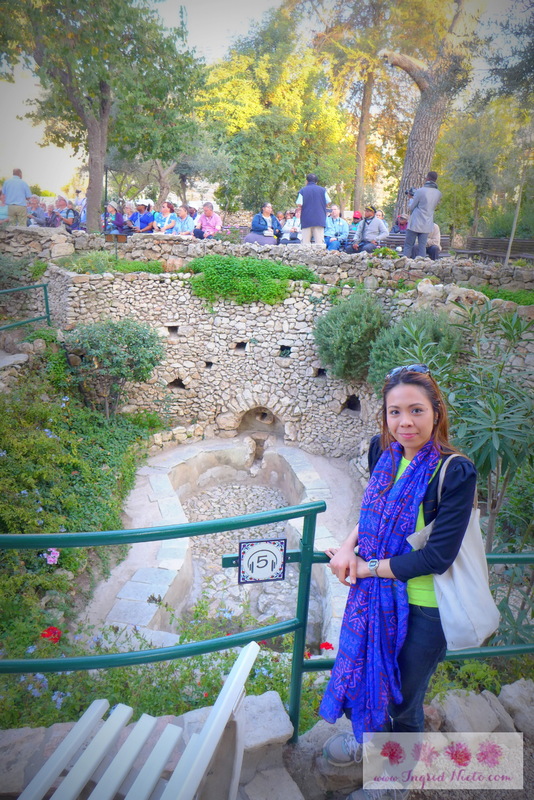 The Holy Sepulchre is located within the walls of Jerusalem while the Garden Tomb is outside the city walls. 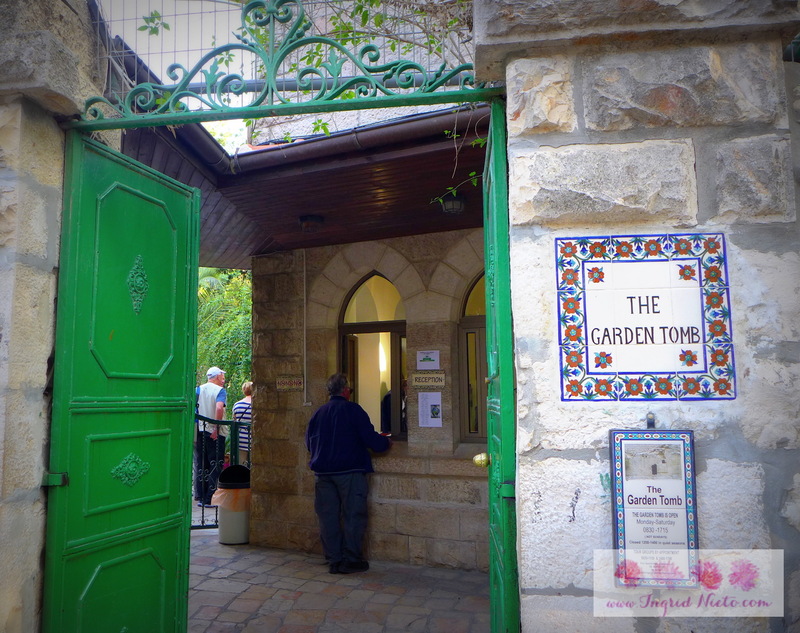 At the place where Jesus was crucified, there was a garden, and in the garden a new tomb, in which no one had ever been laid (john 19L41). 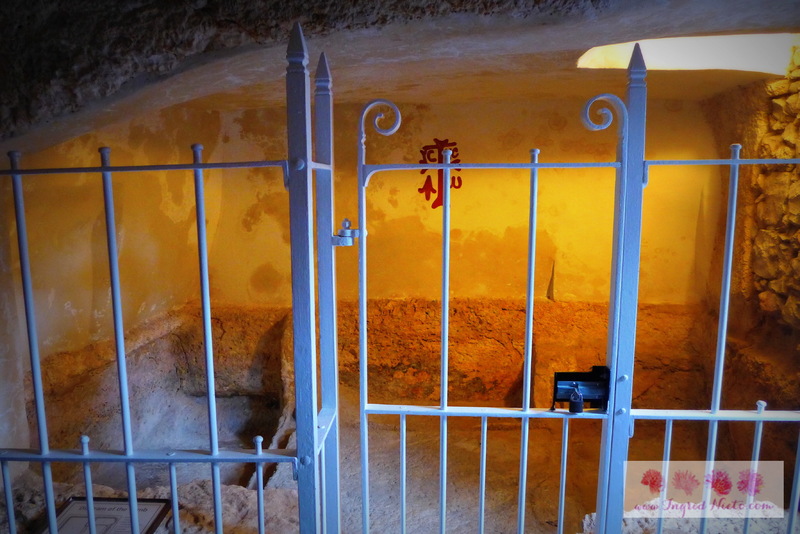 Since it was the Jewish day of Preparation and the tomb was nearby, Joseph and Nicodemus laid Jesus there (John 19:42). 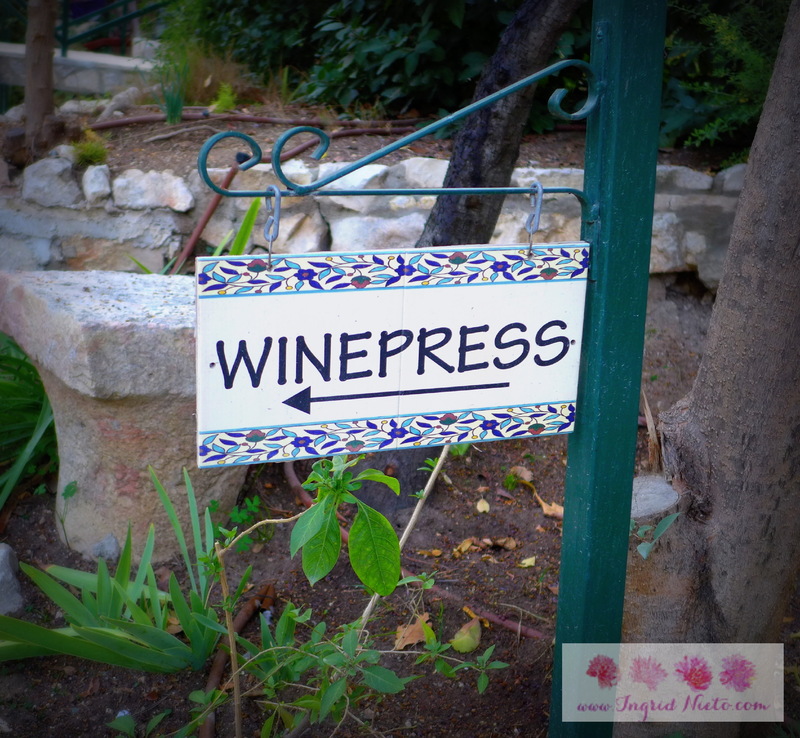 You might be asking, why is there a winepress in the tomb? 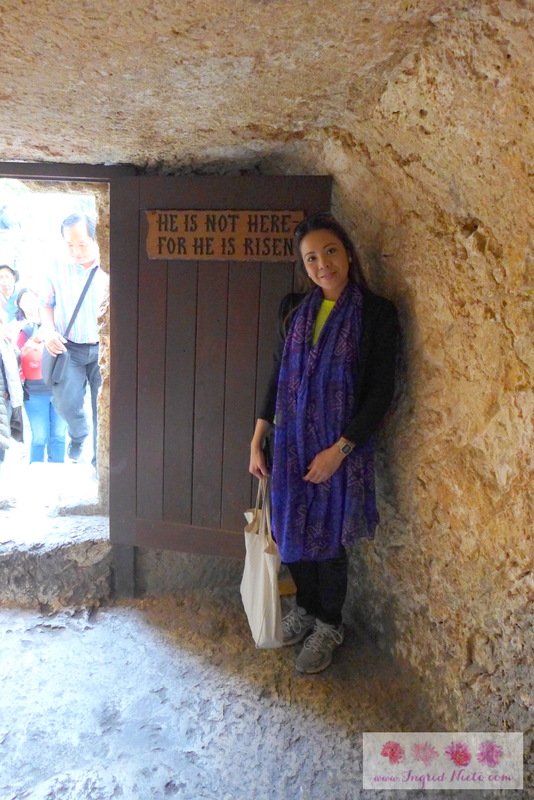 Remember that the tomb originally belonged to Joseph of Arimathea who was a rich man, a member of the Sanhedrin who was a secret disciple of Jesus. When he found out that Jesus was dead, he asked Pilate for the body of Jesus, took it and prepared it for burial along with Nicodemus (Remember him from John 3?). 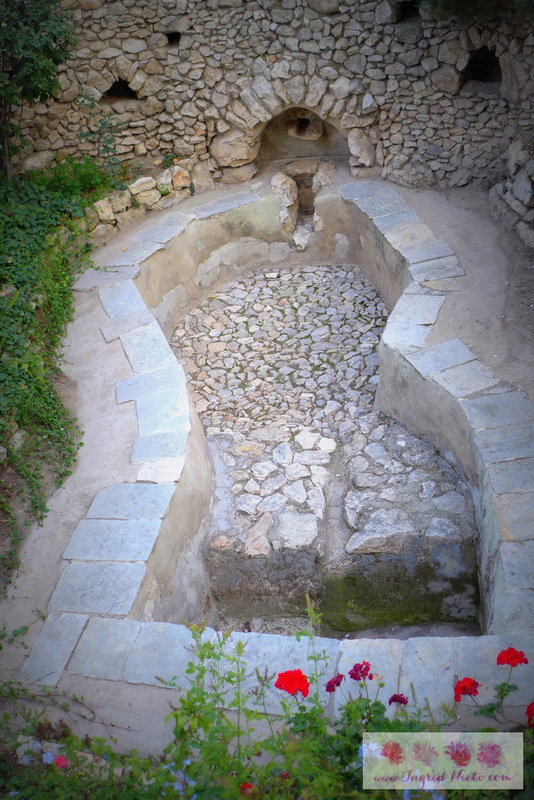 The presence of a winepress in the tomb indicates that it was also a “working garden” fit for a rich man. The fact that it was a new tomb is crucial–once corpses have already been laid to rest in a tomb, tomb toxins cultivate, therefore making it easier to decompose any new corpse that would be laid in there. Jesus’ body was laid in A NEW TOMB, meaning there was still no existence of tomb toxins/decomposing bacteria that could have easily made his physical body decay. His tomb was cut out of solid rock, with a large weeping chamber, and a channel for a rolling stone. It is remarkable that all the features mentioned in the biblical account of Joseph’s tomb can be seen at the Garden Tomb. Joseph of Arimathea was a rich man, a member of the Sanhedrin but a secret disciple of Jesus Christ (John 19:38, Matthew 27:57). 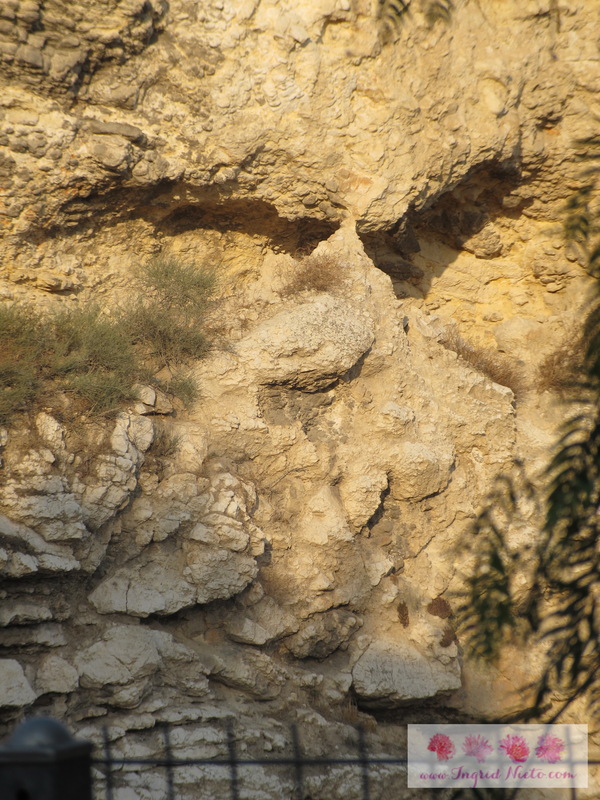 This was his own new tomb, cut out from a rock (Matthew 27:60). Indeed! My Savior is RISEN! Despite the debate regarding the exact location of Christ’s crucifixion and resurrection, the most important truth is that Jesus conquered death and made salvation possible for all who come to Him and believe. I hope you enjoyed my Holy Week photoblog. 🙂 Looking forward to sharing more of my Holy Land journey and Bible insights with you.